This beautiful outdoor wall sconce is a wonderful addition to the exterior of any home. Features an oil rubbed bronze finish and seeded glass. The Contemporary Beauty Collection is well known for quality, style and value; this contemporary outdoor wall sconce is no exception. Expertly pairing a charming oil rubbed bronze finish and easy to find incandescent bulbs, this fixture is both functional and picturesque. This well-rounded outdoor wall sconce is sure to satisfy your indoor lighting needs. This outdoor wall sconce will update the exterior of your home with its eye-catching design. Featuring an oil rubbed bronze finish and tinted seedy shade(s), this fixture will accommodate a variety of outdoor of dicor styles. With its easy installation and low upkeep requirements, this outdoor wall sconce will not disappoint. Simplicity Of Craft And Form Gives This Collection A Very Attractive Look Through Its Minimalist Approach. Inspired By The Architecture And Casual Lifestyle Of The Desert Southwest, This Collection Features Clean Lines With Recessed Edges, Caramel Beige Glass, And A Clay Bronze Finish. Outdoor Sconce In Oil Rubbed Bronze This beautiful outdoor wall sconce is a wonderful addition to the exterior of any home. Features an oil rubbed bronze finish and seeded glass. 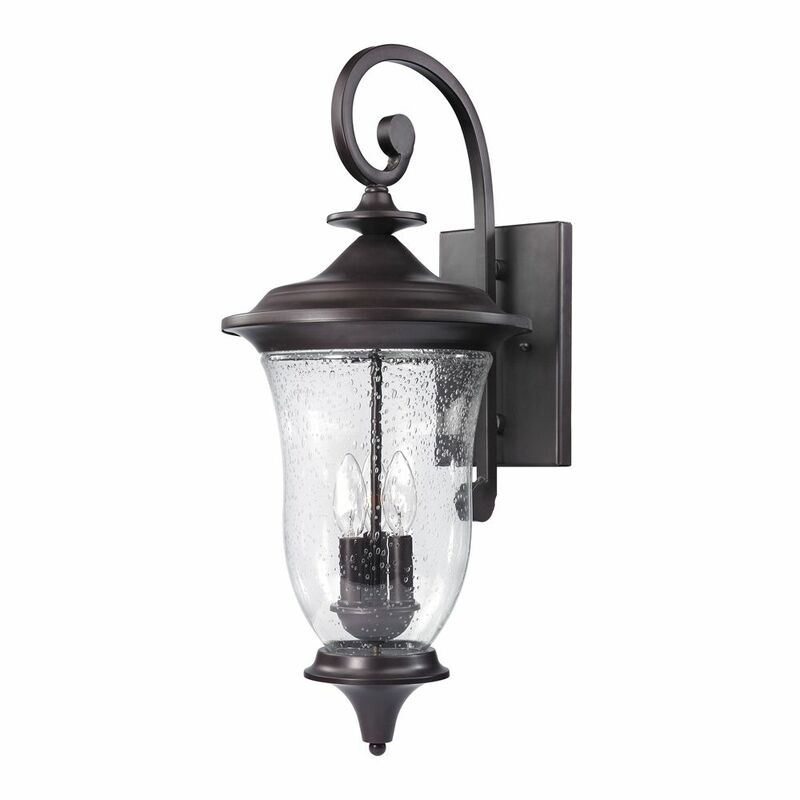 Outdoor Sconce In Oil Rubbed Bronze is rated 5.0 out of 5 by 1. What is the size of this fixture?